If you are in receipt of a fuel allowance, or any social welfare benefit, you may be entitled to FREE Home Insulation through the SEAI. 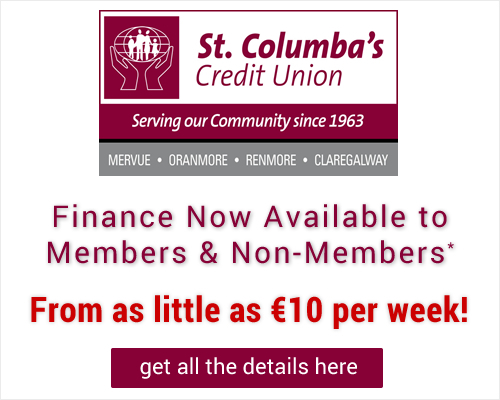 Call our office on 091 768 768 and we can help you to get the ball rolling. 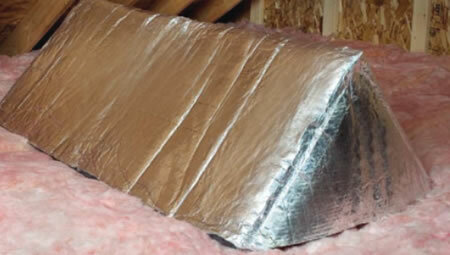 Get your walls and attic insulated at a fraction of the price. you can avail of the Carbon Incentive and the Seai Grant to get your home insualted with Ecowise. 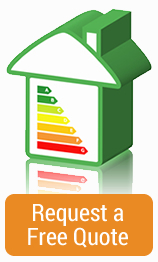 Ecowise can go through all home insulation grant details with you, let you know which grants you can apply for and help you fill in the relevant paperwork. 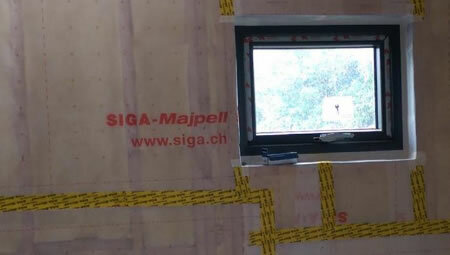 when cellulose is installed to a density of 48 Kg/M3 or more, it acquires a unique air-sealing ability, eliminating both conductive and convective heat loss. 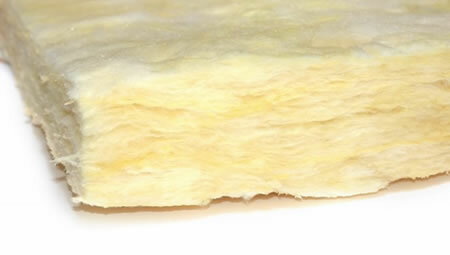 fibreglass insulation is the most efficient, flexible, economical and environmentally friendly insulation product you can choose. consisting of 19 layers of reflective foil, with thermo foam speration layers it has radiant reflective properties helping enhance insulation in winter. the Attic Stairway Insulator is available in one standard size to fit most attic stairwell openings and provides an R-value of 10, when installed properly. ACT NOW BEFORE IT'S GONE! 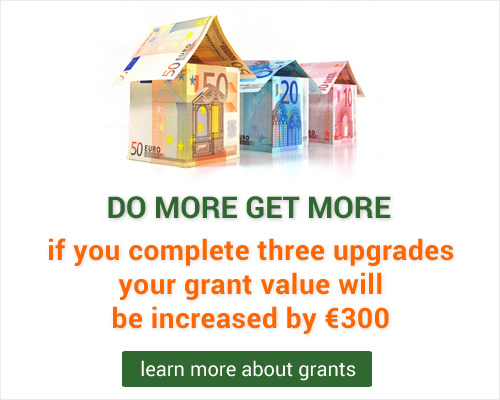 Grants are available to eligible applicants BUT insulation grants are being phased out so ACT NOW and SAVE. With over 16 years experience and over 20.000 homes fitted with attic insulation and wall insulation for both new and exisitng properties we guarantee a job well done. 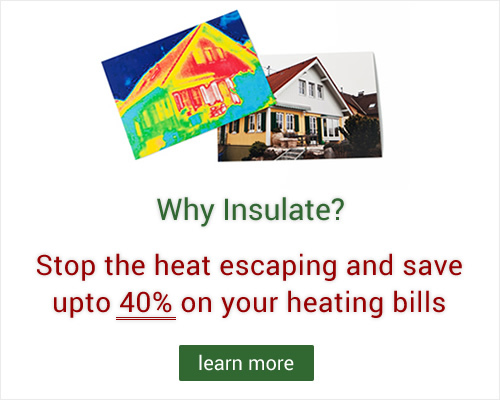 By insulating your home you can save upto 40% on your heating bills making your home more energy efficient. Customers report savings equivalent to a full tank of heating oil over a year. 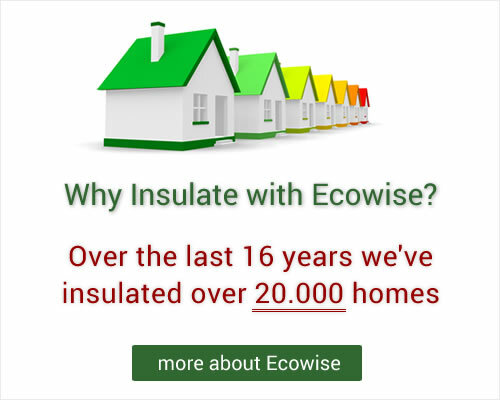 Ecowise Insulation is the leading supplier of all types of conventional insulation for your home in Galway, Mayo, Roscommon & Sligo. 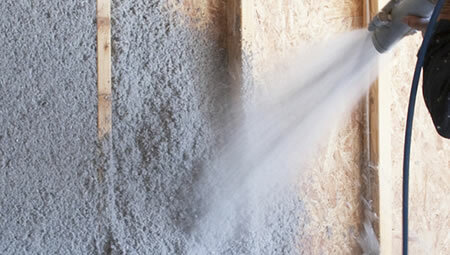 We aim to provide the highest qualities insulation products and insulation services using the most environmentally friendly insulation products on the market. 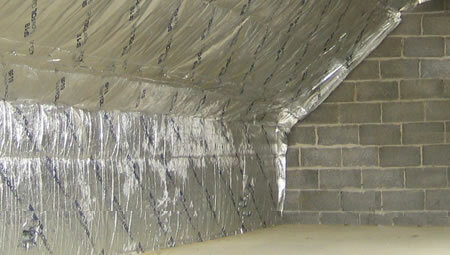 We supply and install insulation products including Cavity Wall Insulation, Sheepswool Insulation, Fibreglass Insulation as well as SIGA Airtightness Products. Grants for insulation are available under the Home Energy Saving Scheme and we have insulated a number of schools and commercial buildings in Galway, Mayo, Roscommon & Sligo under the Education Insulation Grant Scheme. 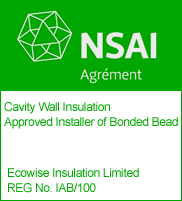 Ecowise Insulation were the first company in Ireland to be awarded a certificate for Cavity Wall Insulation by the NSAI and continue to be the leading insulation company in Galway, Mayo, Roscommon & Sligo. 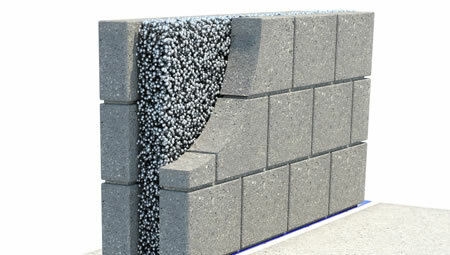 Ecowise Insulation is available in Galway, Roscommon, Mayo & Sligo so for more information on Bond Beaded Cavity Wall Insulation, Sheepswool Insulation, Fibreglass Insulation, Cellulose Attic Insulation, Super Foil Roof Insulation or Floor Insulation for your new or existing home, call us today on 091 768 768 for a no obligation free quote and talk to an expert. Our insulation services are available in Galway, Roscommon, Mayo and Sligo so for more information on Cavity Wall Insulation, Air Tightness, Fibreglass Insulation, Attic Insulation, Roof Insulation or Floor Insulation for your new or existing home, call us today on 091 768 768 for a no obligation free quote or pop into our showroom to see our full range of products and talk to an expert.